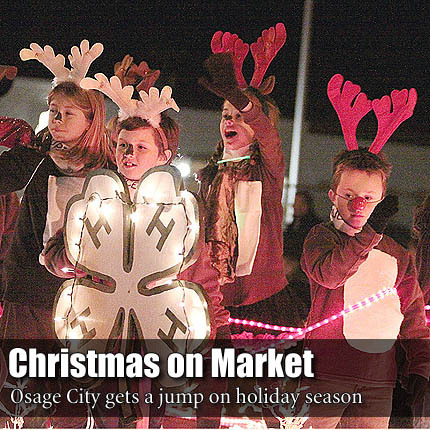 Osage City opened its holiday season with Christmas on Market Street Saturday, a day full of activities, events and a parade. Fair entries included plenty of Rudolfs, from a decorated Ford F250, above, to a float full of reindeer from Willing Workers’ 4-H Club,. Activities through the day included a 5K, chili cook off, craft show and story time with Osage City Librarian Mavet Cooper at the Santa Fe Depot.